My friend Ben and I were volunteer coordinators for an exhibition of work created by S/AIC faculty & staff. The show is opening tonight with performances happening throughout the evening. If you happen to be in the Loop between 5:30 and 7:30 pm, please stop by and say hello! 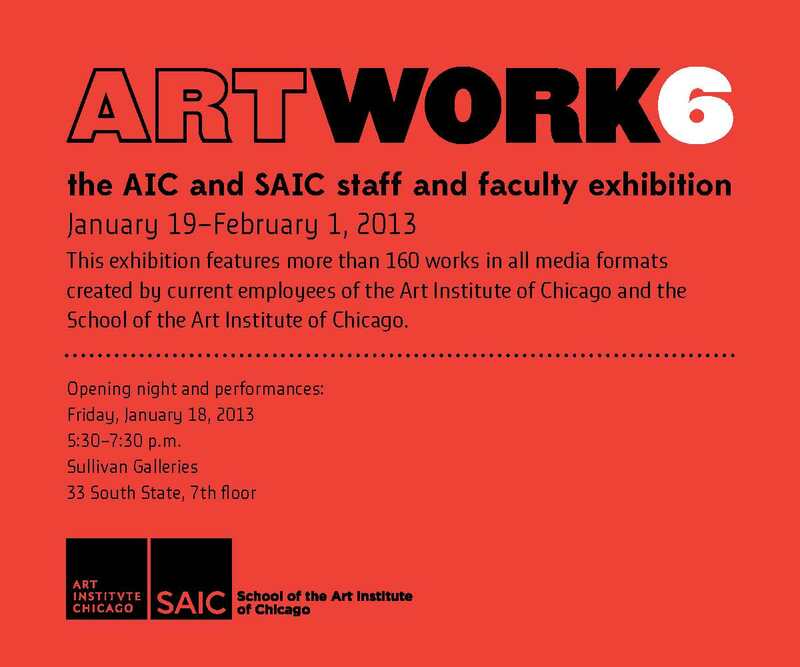 Check it out: ArtWork6 is listed as a weekend to-do in Time Out Chicago!! !